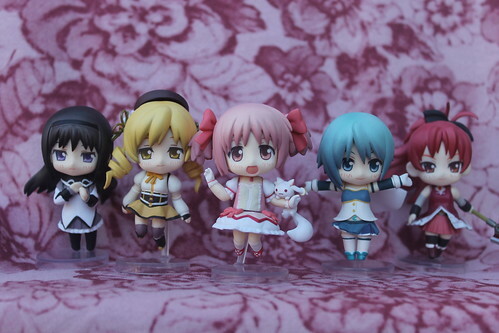 Despite my deciding to cut back considerably on buying new anime figures, I found myself powerless to resist preordering the Puella Magi Madoka Magica petit nendoroids when I saw them on HLJ. They arrived in the mail earlier this week and I wasted no time in opening them up to take pictures. Since I ordered a case I got the full set including the secret Madoka figure as well as a spare Sayaki Miki in school uniform figure. 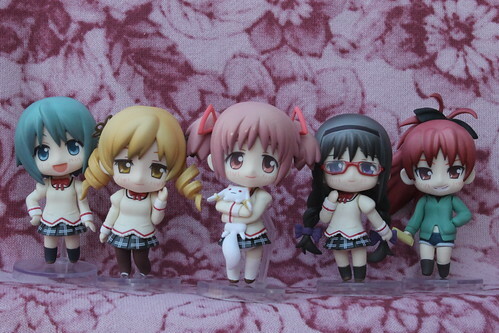 The full set without the secret figure. 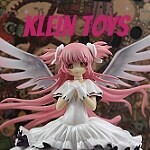 I really love the secret Madoka figure, I was pretty impressed with her wings which I had never seen on a petit before. 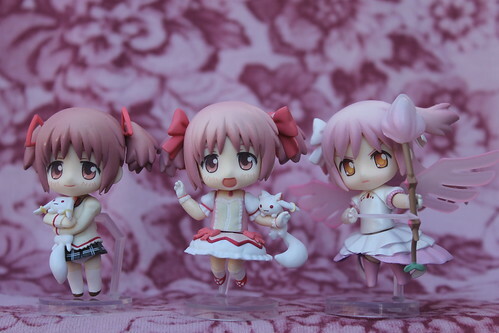 All three of the Madoka figures, I love the range of facial expressions on these. 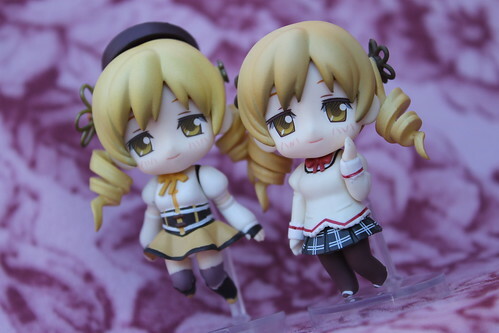 Tomoe Mami is my favorite character from the show, so of course I am very partial to the figures of her. I think GSC captured her character perfectly. 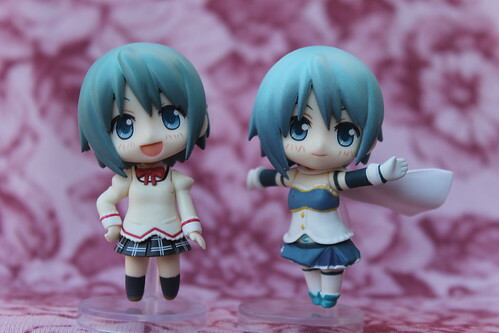 I love the joyful expression on tomboy Sayaka Miki’s school uniform figure. 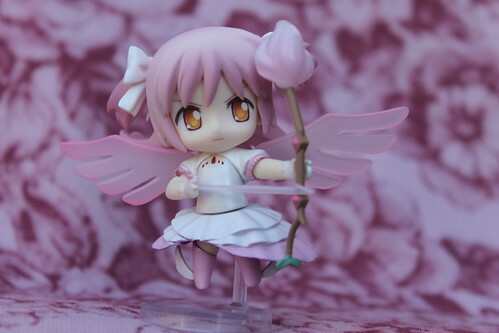 I love the pose on the magical girl figure. 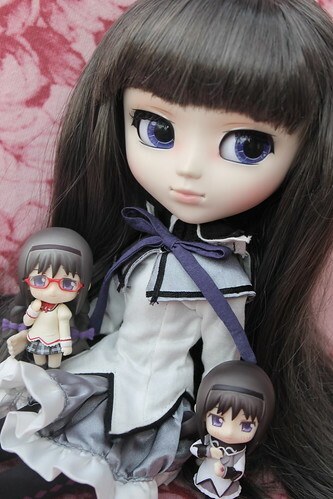 The mysterious Homura looks quite cute in glasses and braids. 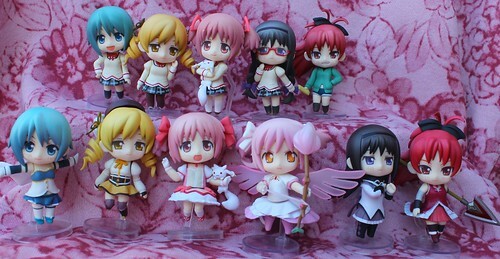 I feel like the magical girl figure has the worst pose of the set, it just looks a bit awkward. 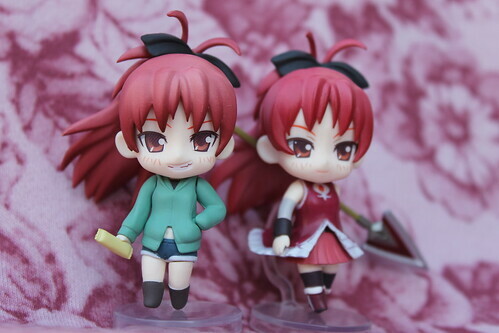 I love that Kyōko Sakura’s civilian clothes figure actually comes with a tiny candy bar referencing her immense appetite. 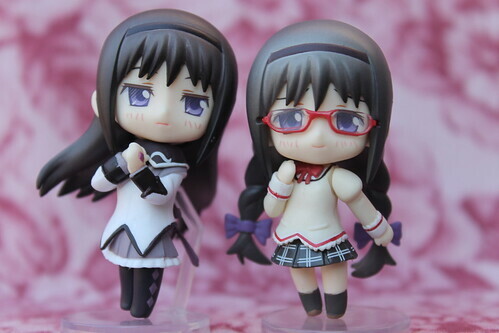 The petit nendoroids also look quite cute with their corresponding Pullips. 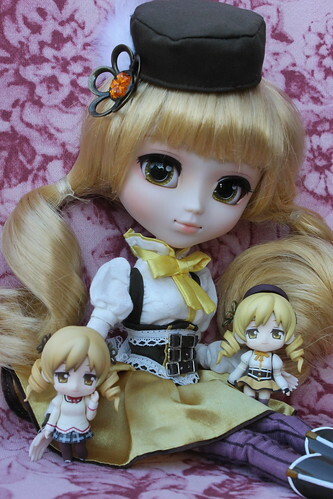 More pictures of them on my flickr. 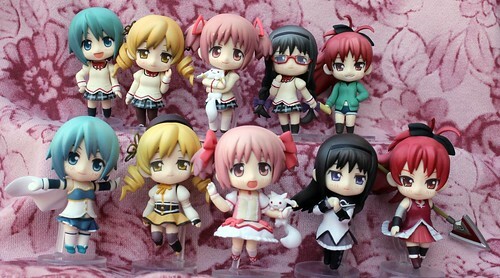 This entry was posted in anime figure, Doll, Pullip and tagged anime figure, homura akemi, kyoko sakura, madoka kaname, nendoroid, petit nendoroid, Puella Magi Madoka Magica, sayaka miki, tomoe mami. Bookmark the permalink.